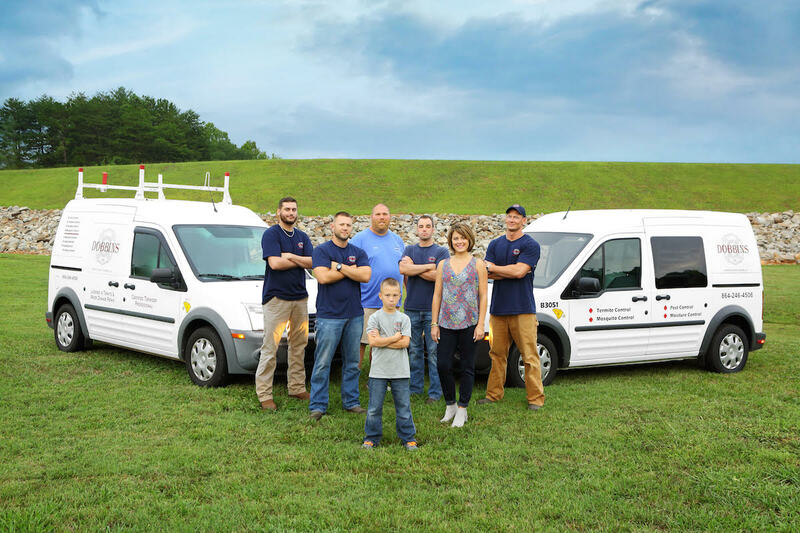 Dobbins Termite and Pest Control has been serving Upstate South Carolina since 1992, covering Greenville, Spartanburg, Pickens, Anderson and Laurens counties. Owners Jason and Crystal Galloway purchased the business from the Dobbins Family in 2012 after Brian Dobbins’ life was cut short by cancer. Brian was a fire-fighter with the Berea Fire Department. To honor his legacy, the Galloways kept the company name, Dobbins Termite and Pest Control, but changed the logo to include Brian’s unit number inside the Maltese cross which signifies Honor, Courage and Dedication. Dobbins Termite and Pest Control is a fully-licensed termite and pest control company serving the state of South Carolina. We also have a specialty contractor’s license to allow us to provide more comprehensive services to our customers, including moisture remediation. Combating moisture in the home, especially in Upstate South Carolina, can be an issue for today’s homeowners. Our trained moisture professionals will diagnose the moisture problems and propose a solution that will fix it for good. Our termite and pest control specialists are trust-worthy, trained technicians, offering exceptional customer service who enjoy getting to know their customers. Dobbins Termite and Pest Control has a great reputation of being professional, personable and polite. But, don’t just take our word for it. Click here to see what some of our clients have to say. We work hard to be Upstate South Carolina’s best and most professional termite and pest control company. We provide a full range of services that go beyond termite and pest control and have a strong reputation to prove it. Our staff looks forward to helping you. Please give us a call to ensure your home or business is termite and pest free!